This card uses 4 of the new 5 In Colors. 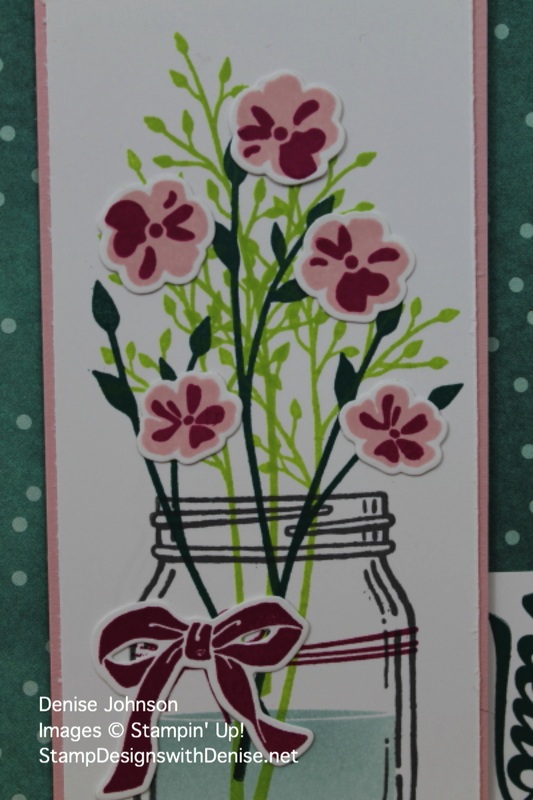 These colors became available in the new Stampin’ Up! Annual Catalog on June 1st. 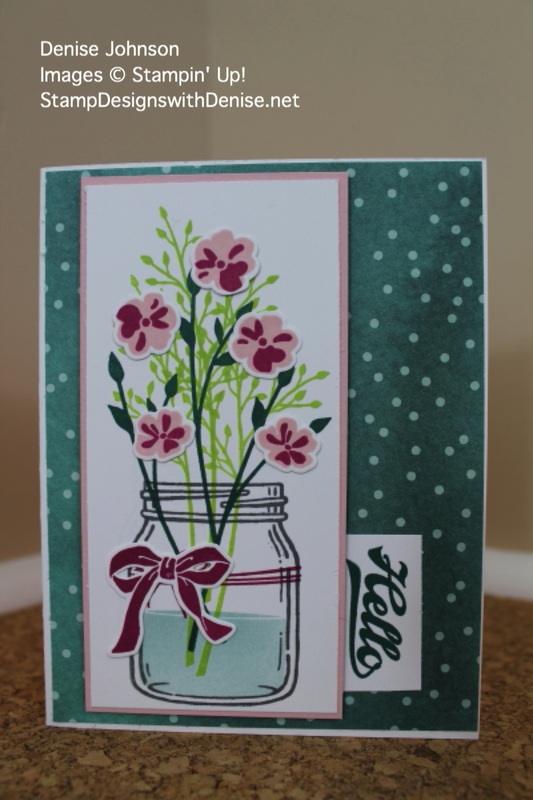 The Jar of Love Stamp Set and Everyday Jars Framelits are a favorite set of mine.